As was discussed on the Old Hill Hight Street Halt page, there were four halts on the GWR's Dudley to Halesowen of which this was one. Opening to serve six Rail Motors in each direction between Halesowen and Dudley, Darby End succumbed to the problem of scandalously poor patronage at a time when Dr Beeching et al were scouring the figures for every corner of Britain's railways with a view to major cuts. The halt closed in 1964 along with the other passenger stations and halts. 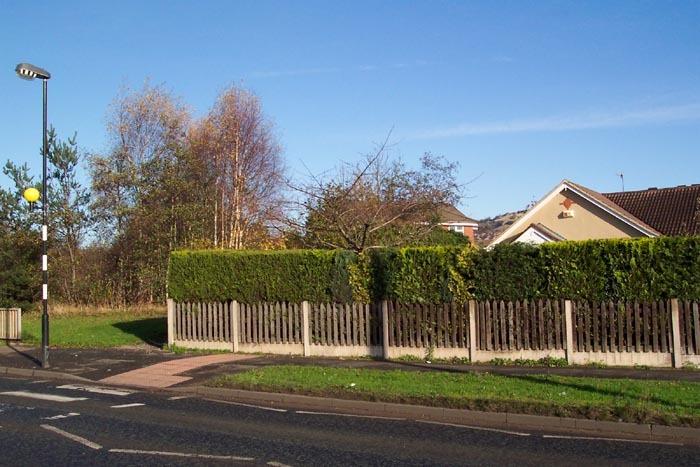 The section of line from Old Hill to Blowers Green became known semi-affectionately by locals as the 'Bumble Hole line' as Bumble Hole was a centre point through which the line passed. 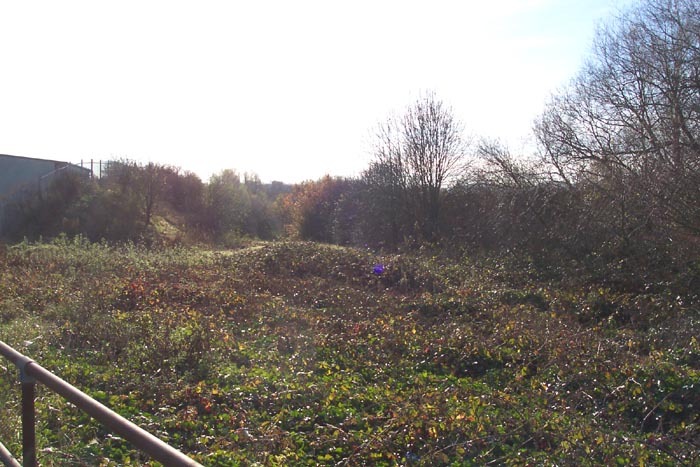 The line also enjoyed notoriety for the discomfort experienced when riding its trains: with the Black Country being a traditional mining region, subsidence was the norm and the Bumble Hole Line, due to its route, suffered considerably! 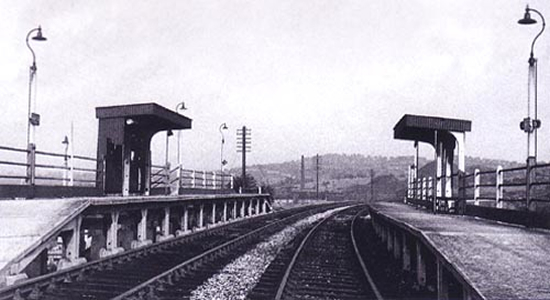 Above we see Darby End Halt post-closure in 1966 (photo: A. Muckley) looking towards Dudley. As with the other halts on the line, the original wooden platforms and shelters had only been replaced a couple of years before closure so appear rather new in the above photograph! This is one of the few sites I've visited where you'd be very hard-pressed to guess that a railway had ever been through it. 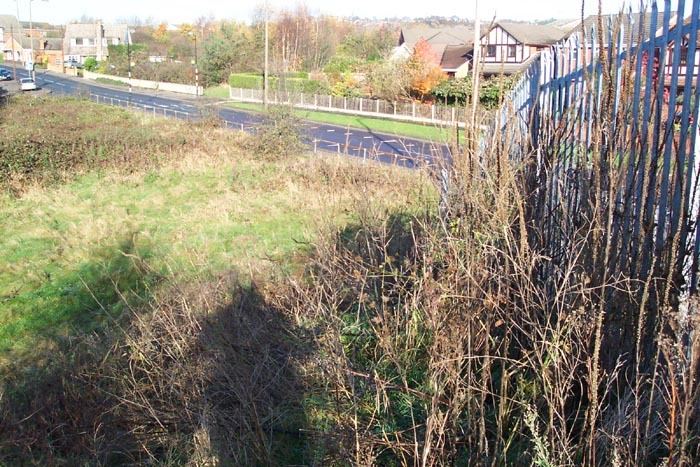 Above-left we are looking to the site of the halt: an embankment would have crossed Withymoor Road here via a bridge with the halt immediately following it on the other side of the road. However, a small piece of embankment remains and it is from the top of this (very precariously!) that the above-right shot was taken. 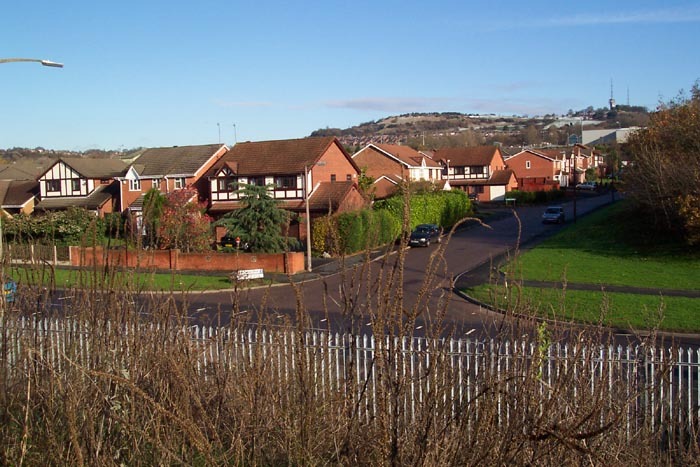 It is looking in the direction of the original track (and at roughly the right height) with the halt being sited where the new houses stand ahead-left: a link with the 1966 image being the distinctive hill in the distance. There really was nothing to photograph of interest here so above-left I am looking down the end of the embankment with the halt site ahead. Above-right is slightly more interesting as we are looking in the opposite direction towards Old Hill on Withymoor Road: the raised ground with the metal fencing to the left is the remains of the original embankment - the rest being removed and what's left has been severely narrowed and now forms a perimiter barrier to the back of the ever-present industrial units to the extreme left.